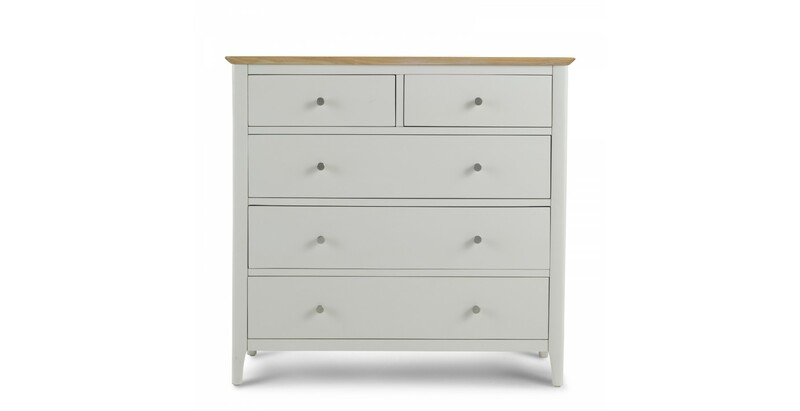 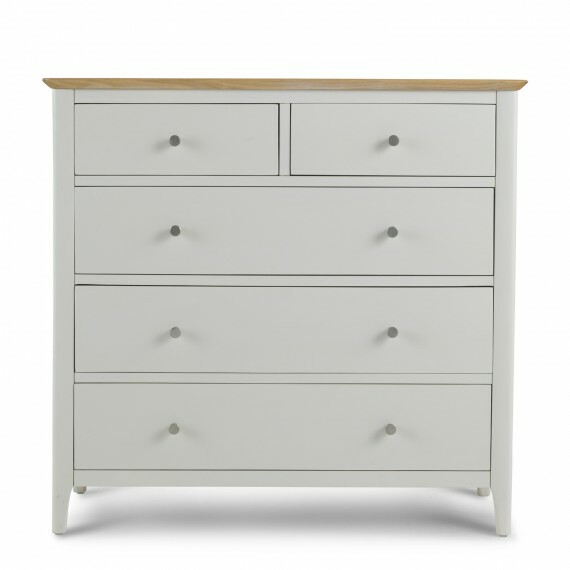 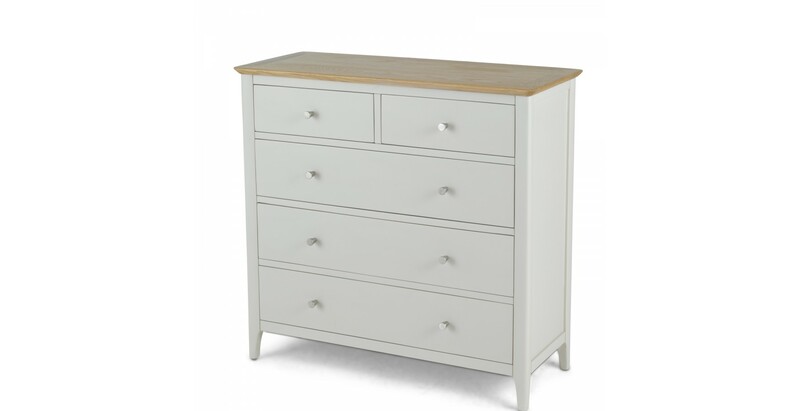 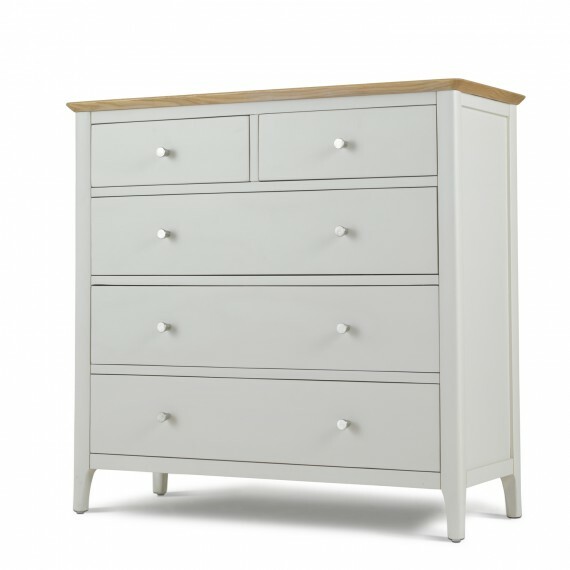 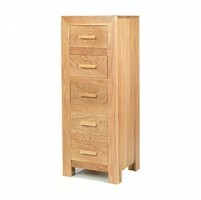 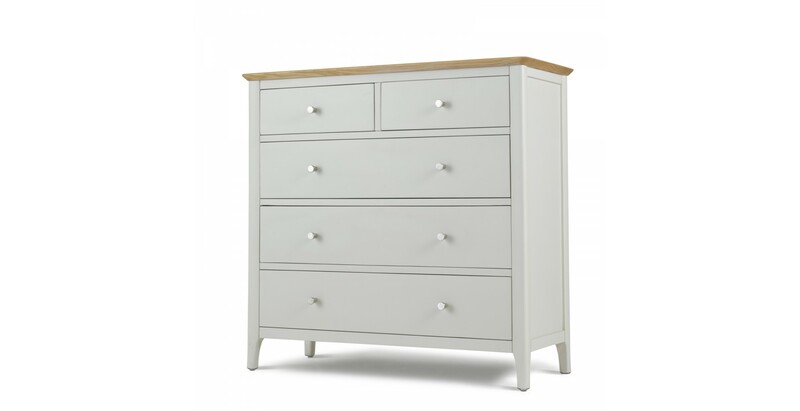 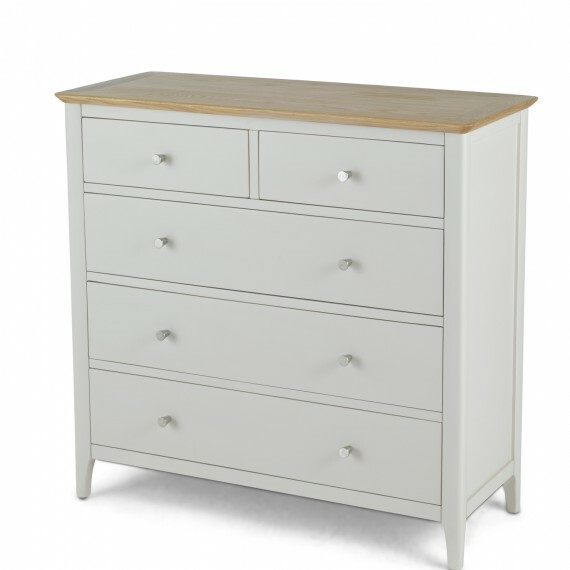 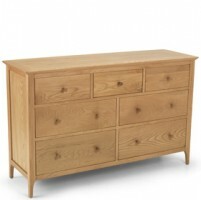 Expertly crafted along clean lines inspired by the simple, practical design ethos that epitomises Shaker furniture, both classic and modern interiors will benefit from the presence of this chest. 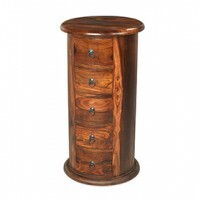 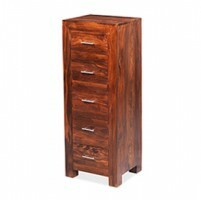 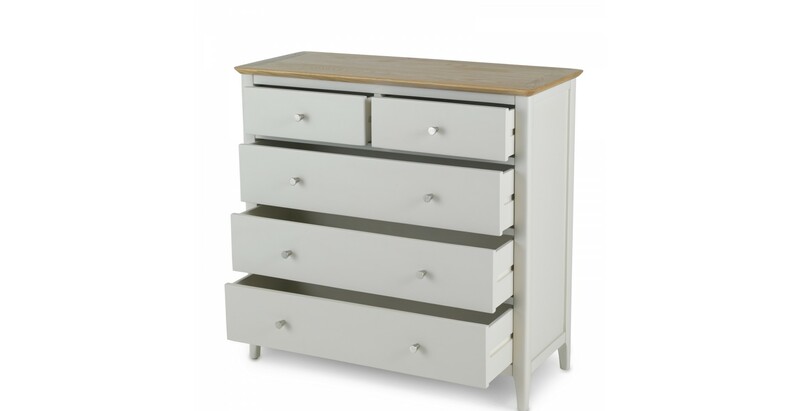 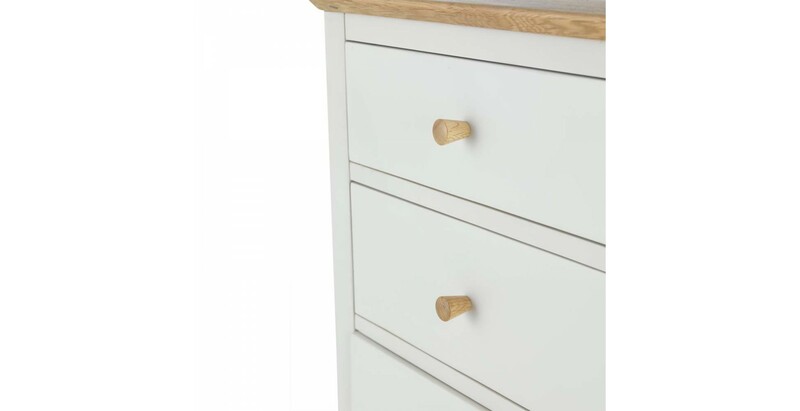 With two drawers set over three, it offers generous storage space for all your clothes and comes complete with two sets of handles – wooden and metal – so you can add your own finishing touch. 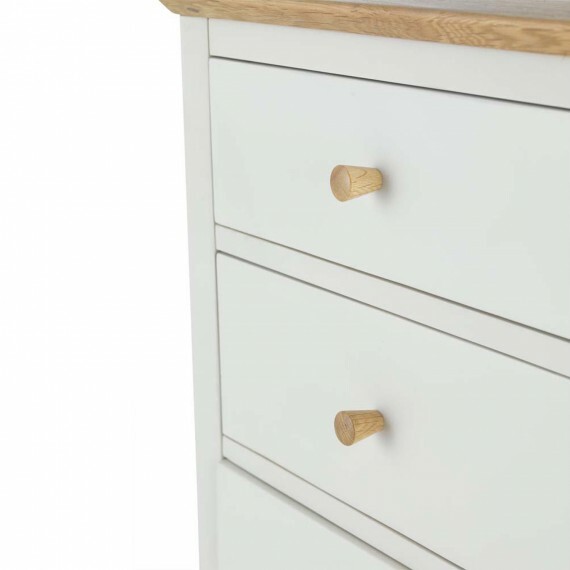 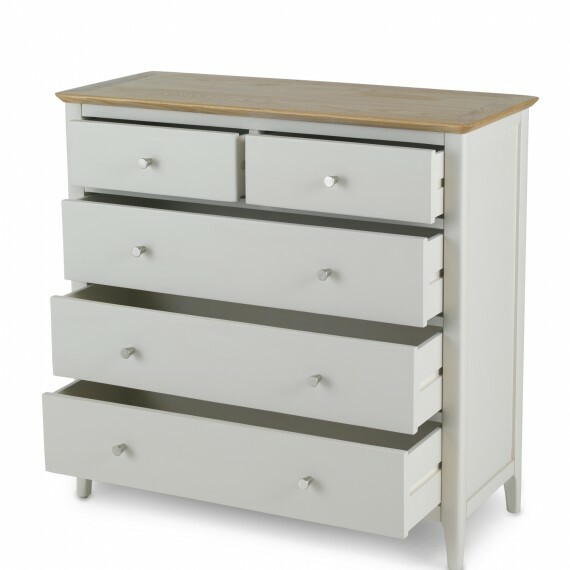 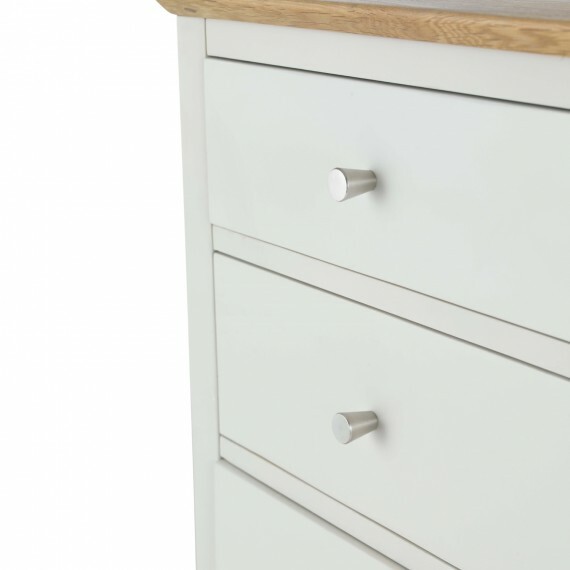 Understated features such as the curved leg edges and rounded corners add charm, while the pale grey paint finish with contrasting waxed oak top will blend seamlessly into a wide range of decorating schemes.